Lovely 2000ad Cover from the Golden period of 2000ad! 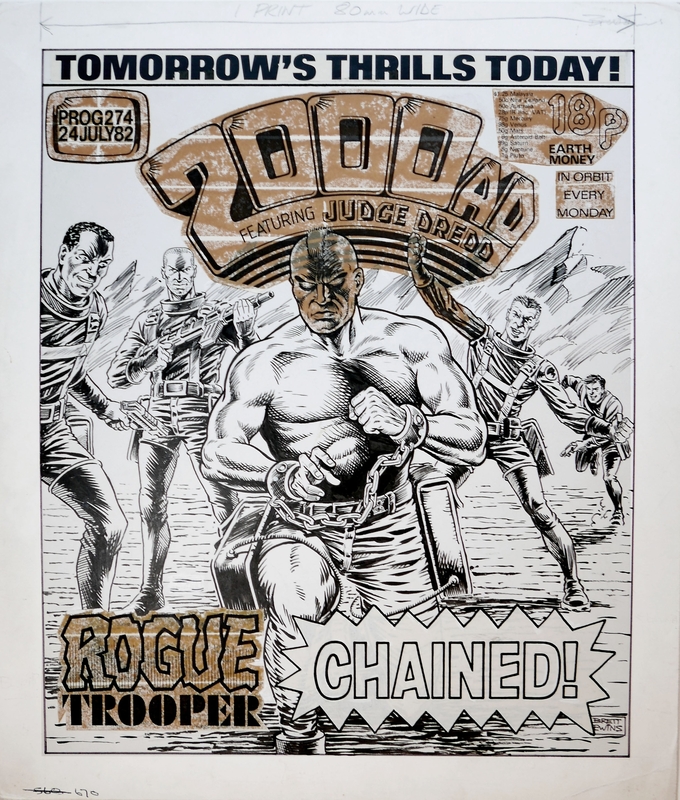 Rogue Trooper 'CHAINED!' by the late great Brett Ewins. Rogue's Head, and soldier's arm have been copied and pasted by editorial staff over the logo, this was common practice with art. All original art is intact underneath.